Wednesday 5 October 2011 You will see that my website has a new look. We are still working to iron out some teething problems. When we have got it right, you, the welcome visitor to this site, and I will be able to interact and share our pilgrimage and insights. 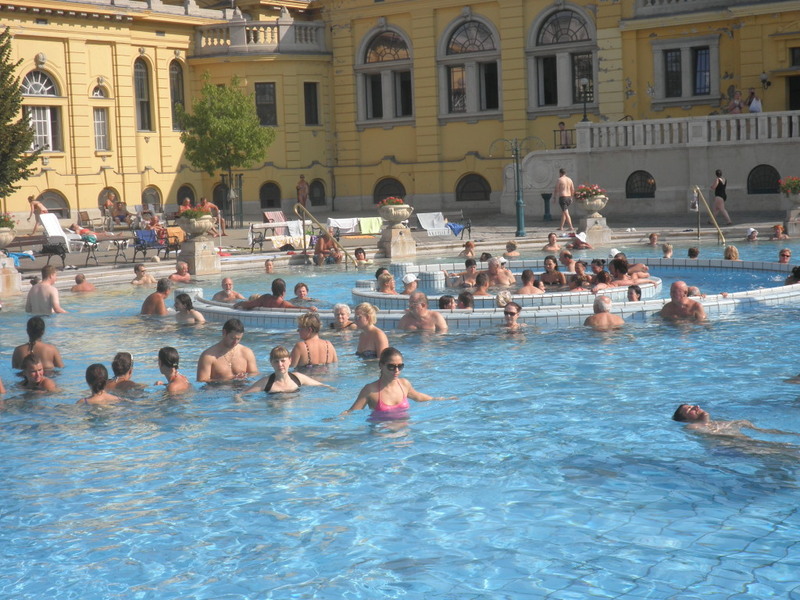 Meanwhile, perhaps to make you a little jealous, here is a picture of me enjoying the Hungarian sunshine and warmth of the water from the natural underground springs below the Szechenyi Baths in Budapest last Wednesday. Tell me if you can spot me!